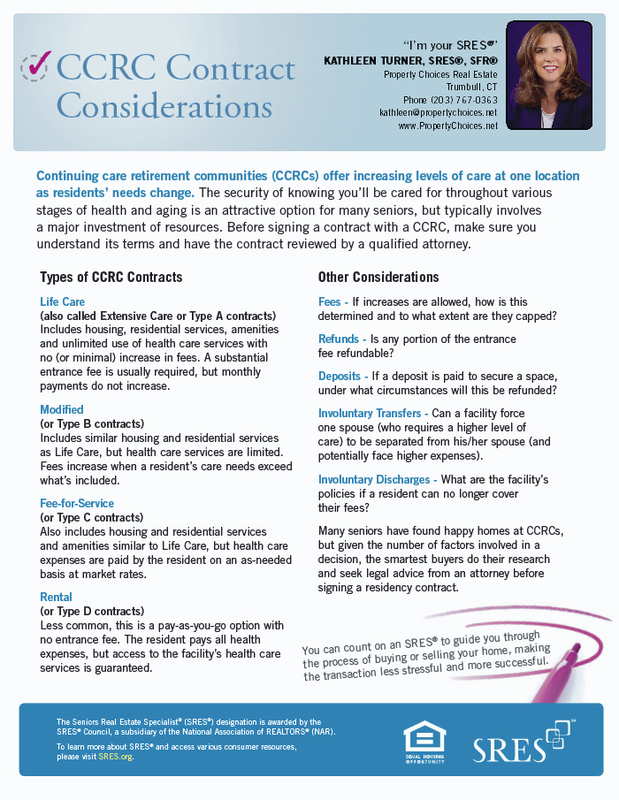 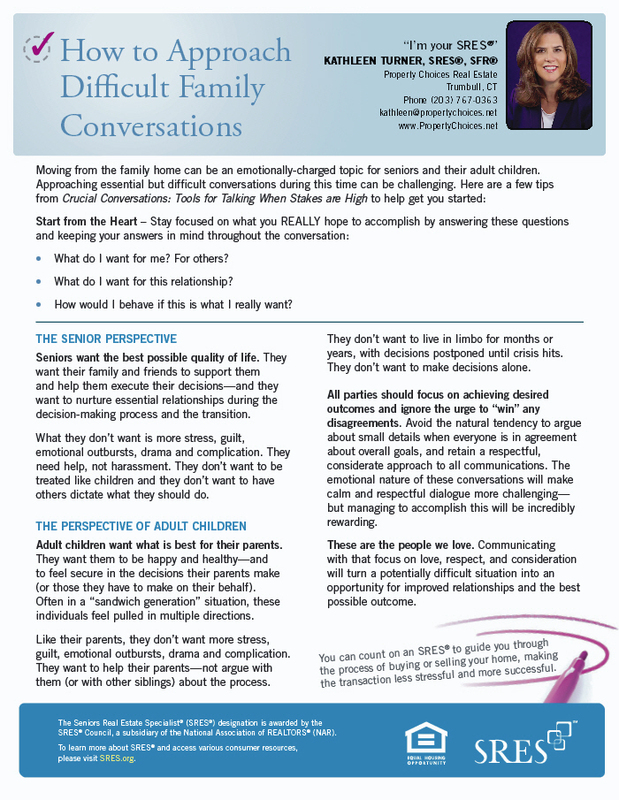 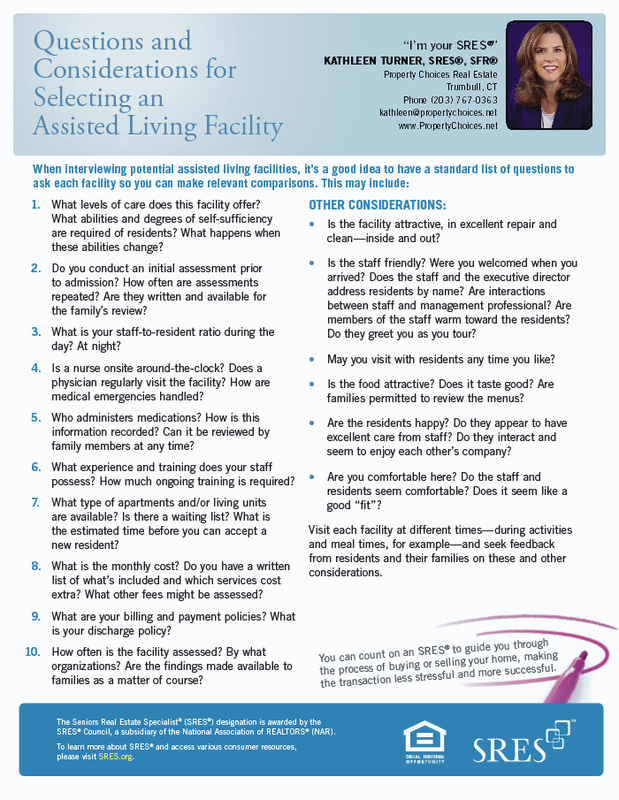 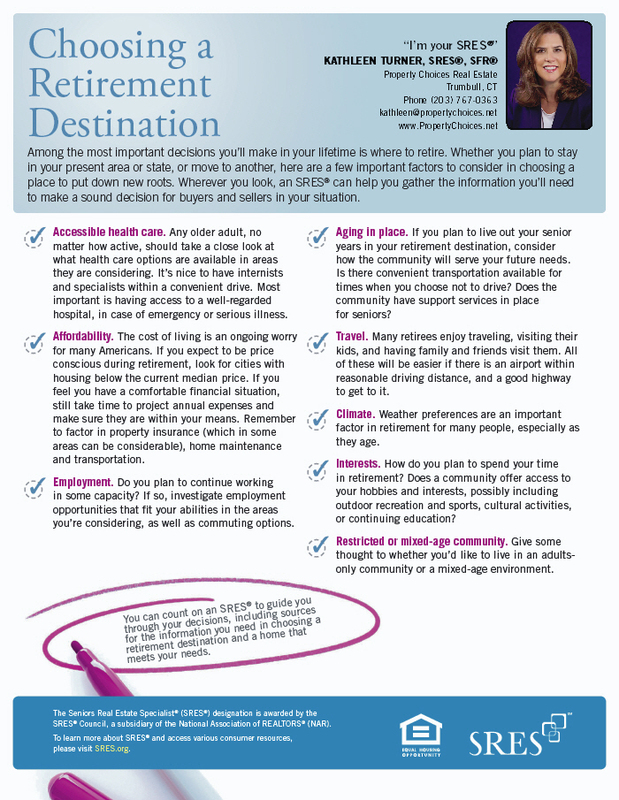 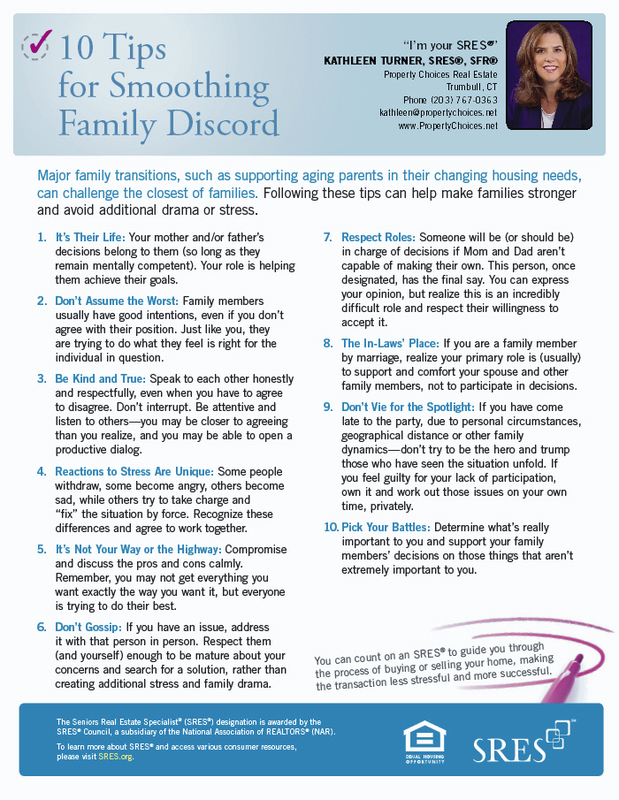 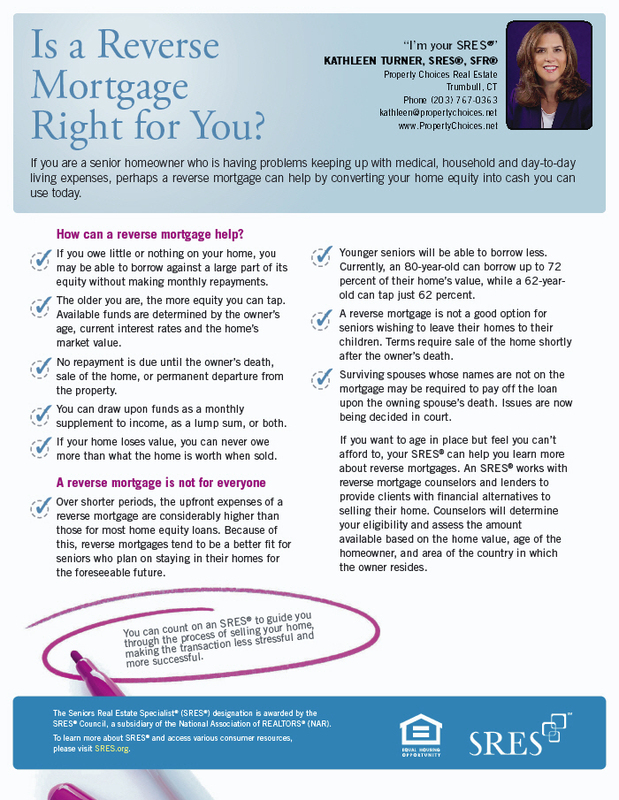 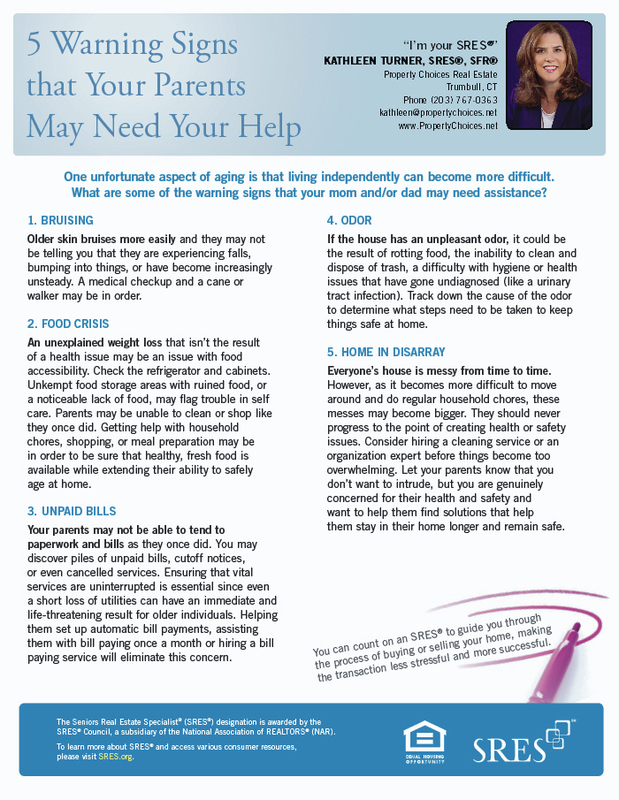 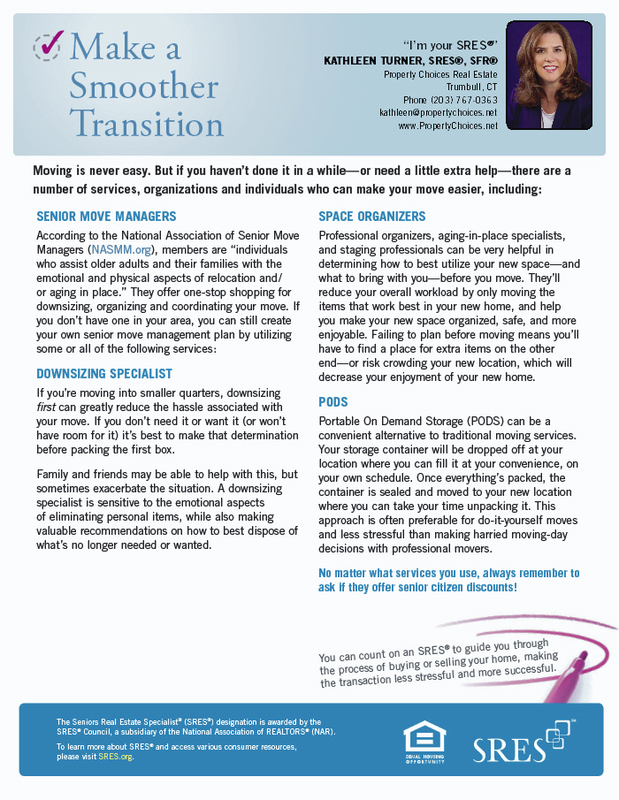 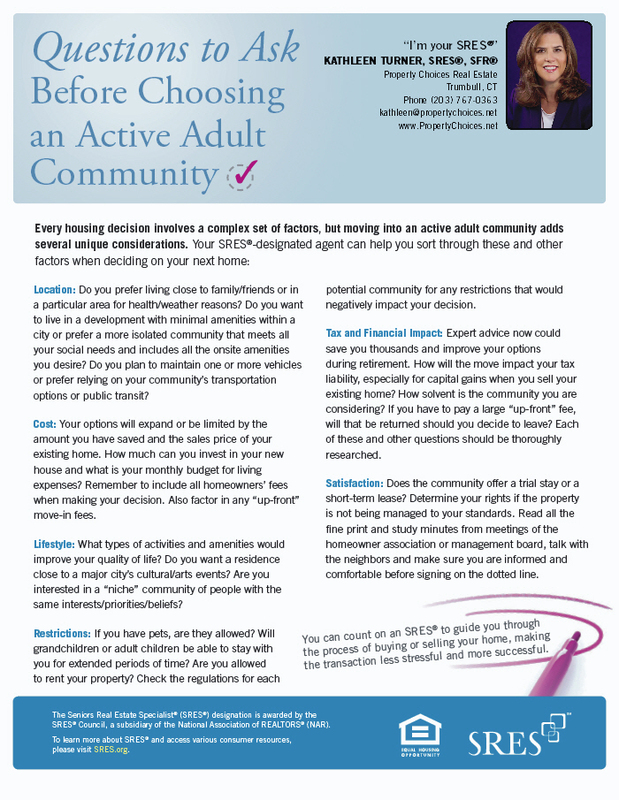 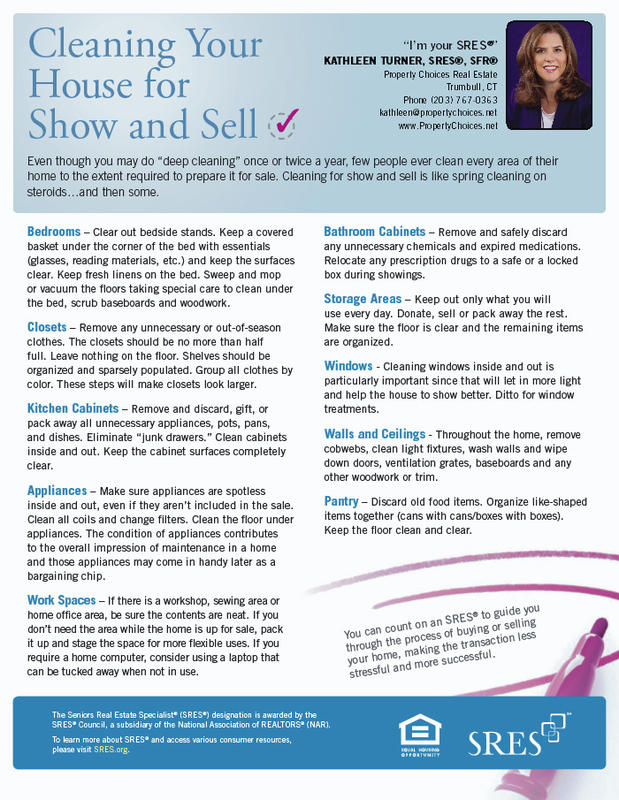 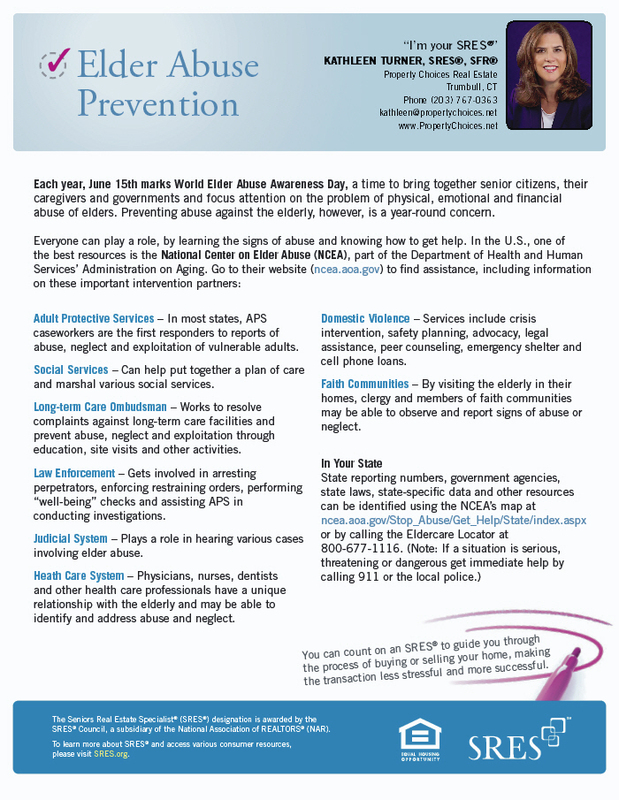 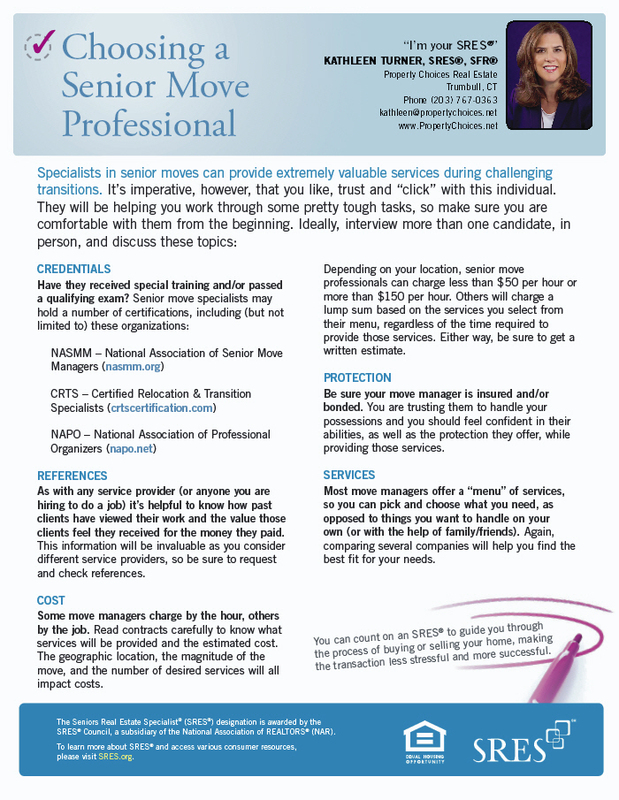 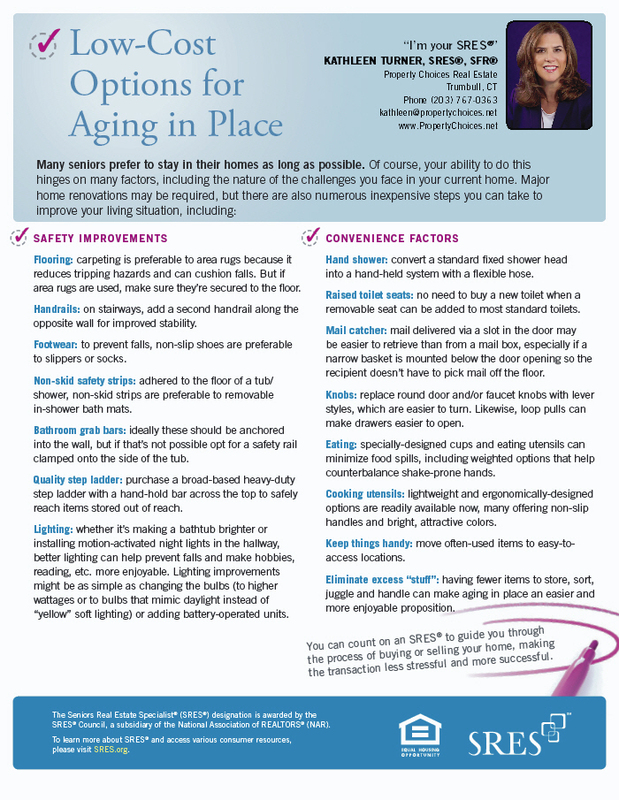 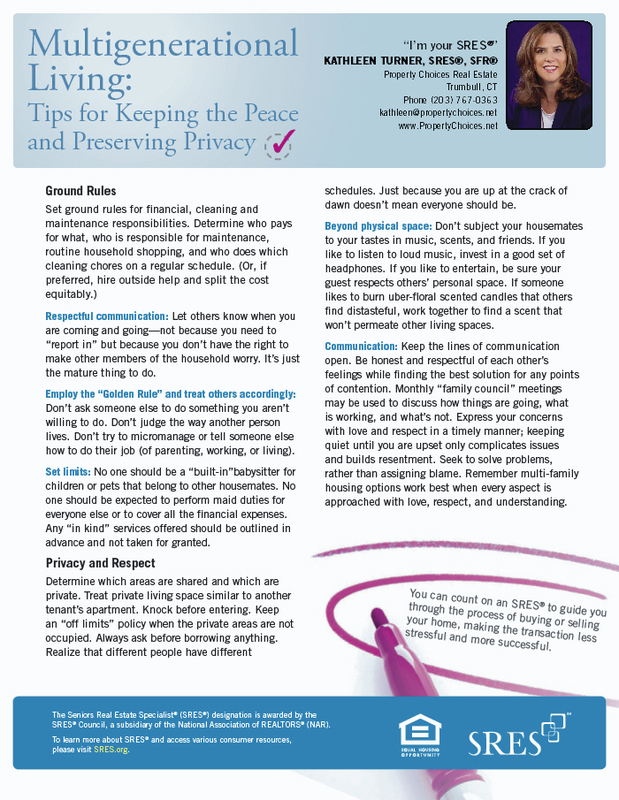 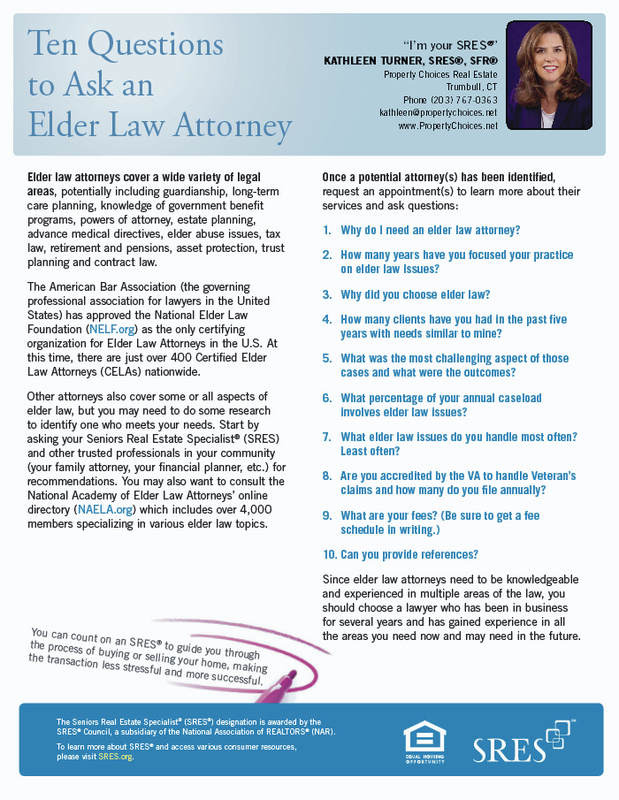 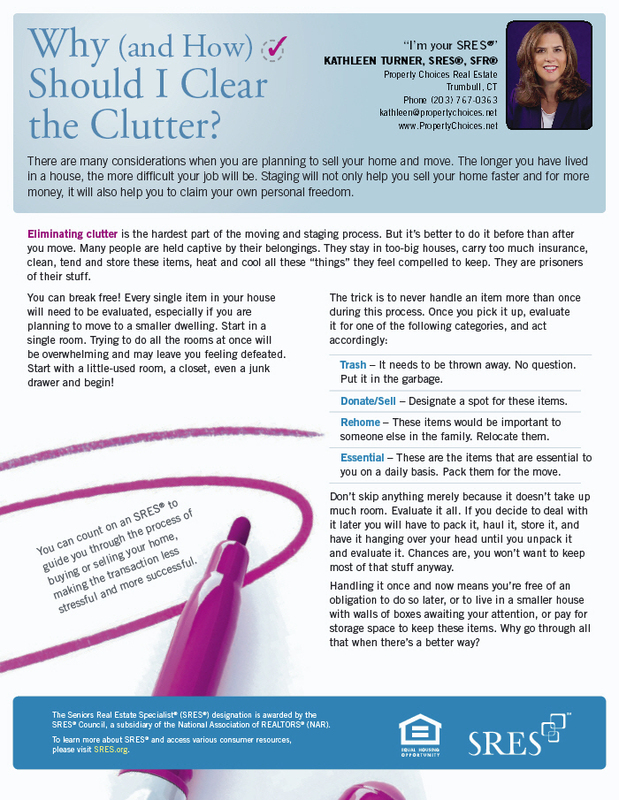 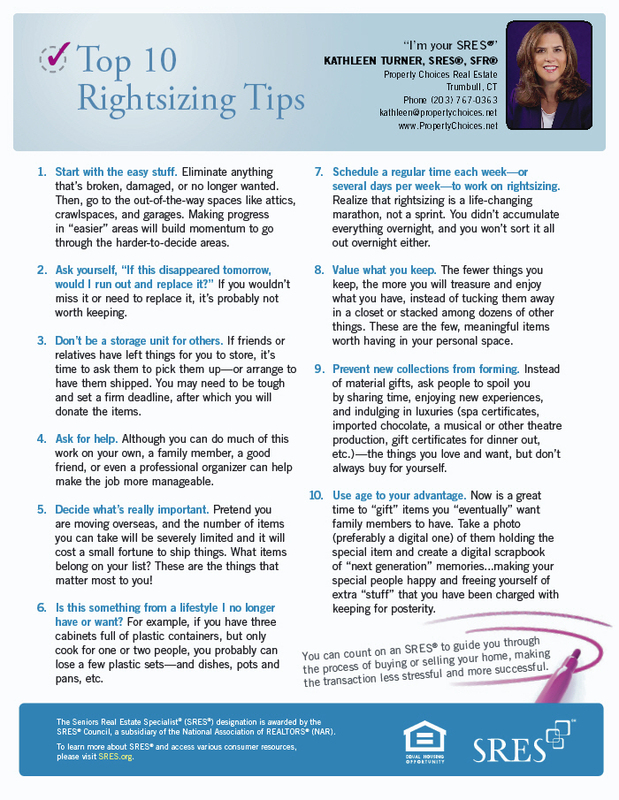 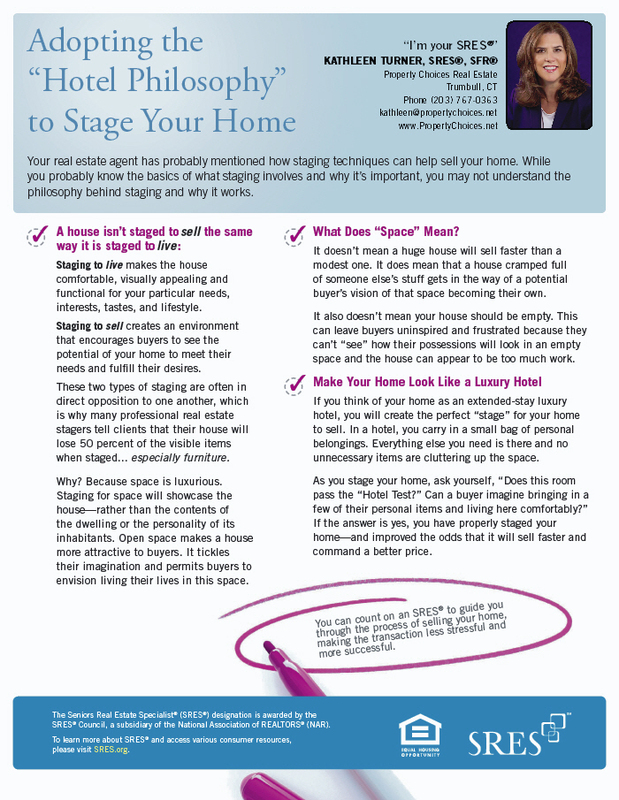 Below you will find a variety of informational one-sheets to help guide your family through the complex issues and unique situations you may encounter during the process of aging in place, moving, buying or selling your home. 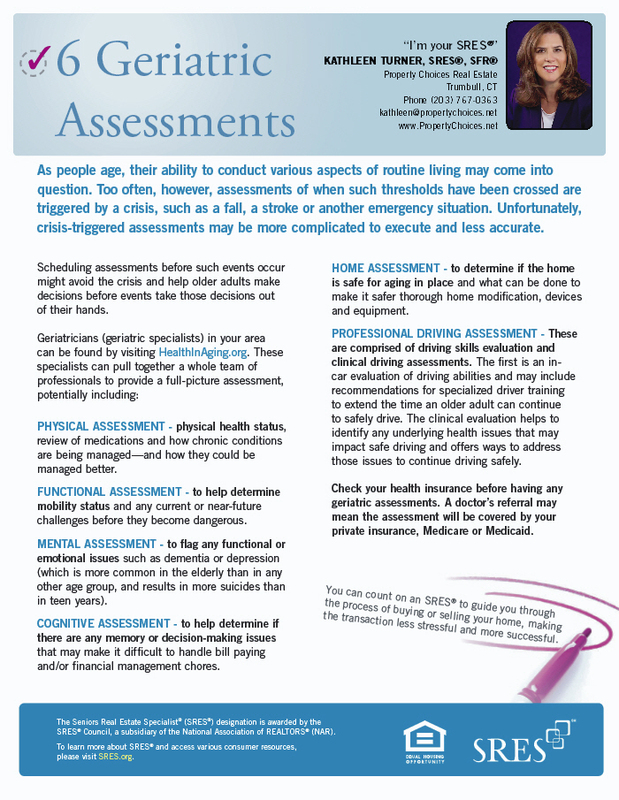 Simply click on the ones you would like to view or download and print. 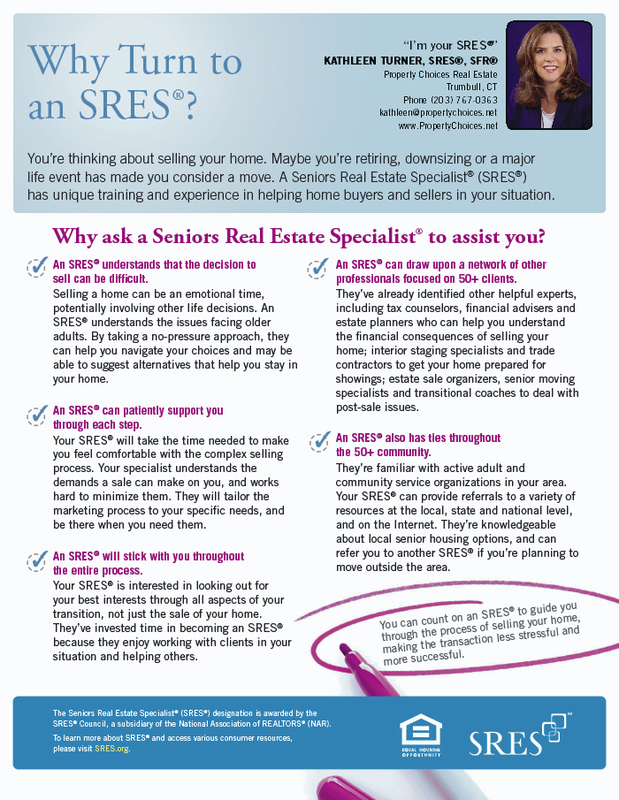 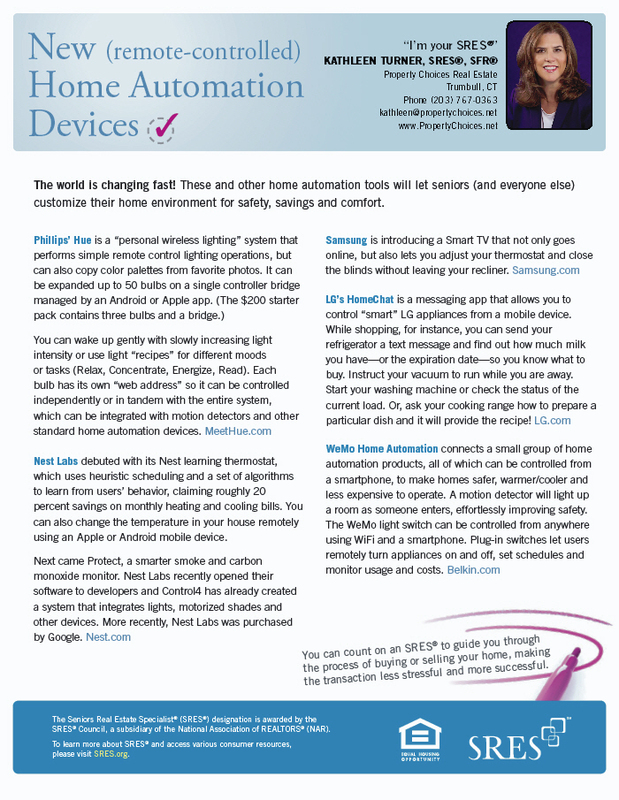 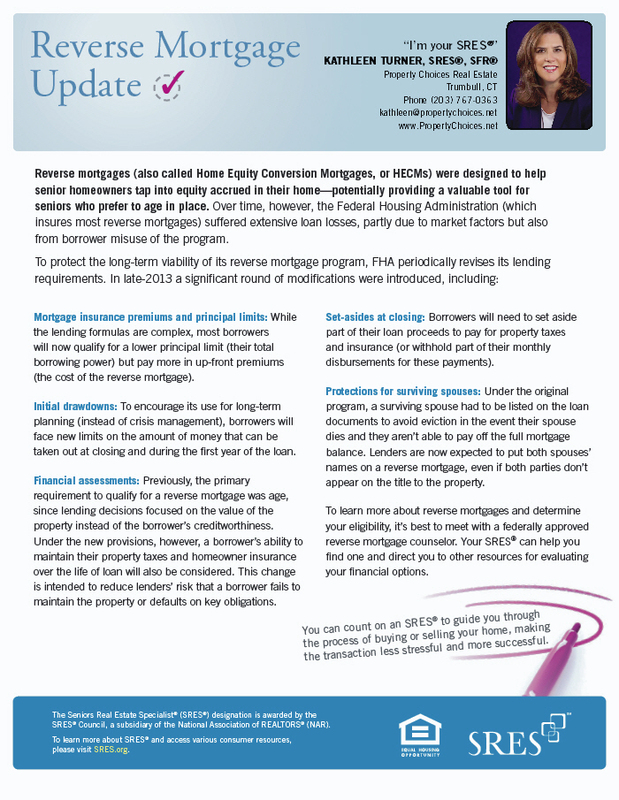 Why Turn to an SRES®?